Who doesn’t love a makeover? 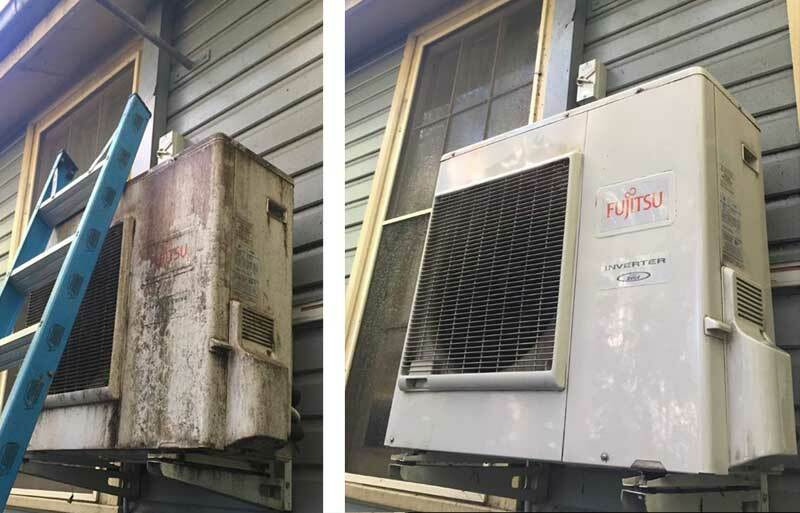 Take a look at this before and after of a Fujitsu unit we serviced recently. Before you write off your old air conditioning, check it just doesn’t need a service and spruce up. Most of appreciate a little attention – and your air conditioning is no different – so be sure to arrange an annual service and clean your filters regularly. Call our showroom on 4222 9988 to organise a service and clean of your air conditioner.